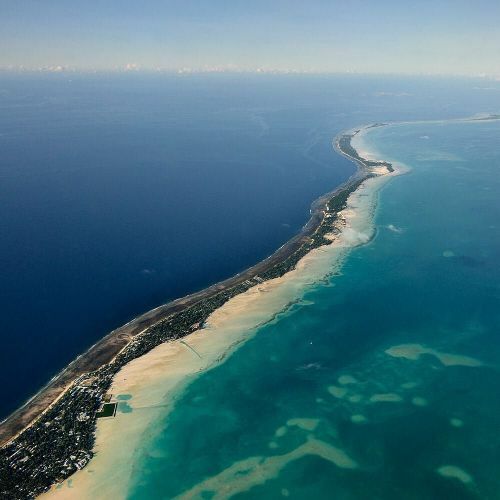 "The South Pacific island nation of #Kiribati could be submerged by rising oceans in just a few decades. In a speech today during the Paris #climatetalks, President Antoe Tong of Kiribati thanked Fiji for offering to take in the people of his country, which is home to just over 100,000. @kadirvanlohuizen photographed Kiribati for @nytimes in 2012. As the climate talks continue, follow @nytimes updates and photos by visiting the link in our profile. #COP21" By nytimes on Instagram. 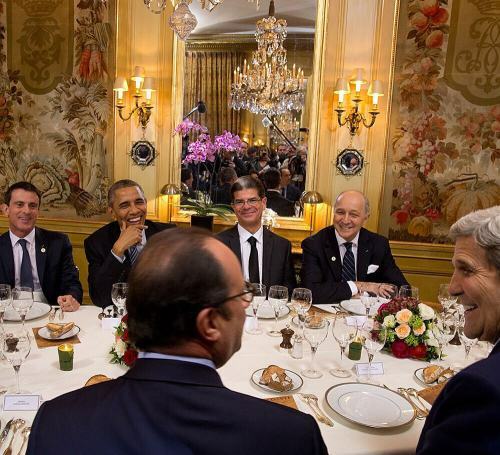 "President @fhollande and Prime Minister Manuel Valls of France hosted a dinner in #Paris, where guests included President @barackobama and Secretary of State John Kerry. (Look in the mirror to see others in the room, including @crowleygraph, a @nytimes photographer who is photographing the #climatetalks.) Leaders of industrialized nations and developing countries have expressed near unanimous agreement that climate change is real, that it is dangerous and that something must be done. The disagreements will be in the details. Visit the link in our profile for insights and analysis. 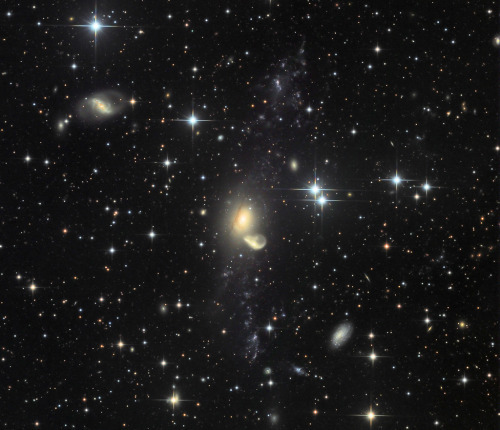 Follow @crowleygraph to see more photos. #regram" By nytimes on Instagram. "Where in the world is @nytimestravel? Once a week, our globetrotting friends ask the Instagram community to guess where one of their stories has led them. This week, it isn't hard to guess the name of the country, so they're looking for specifics. 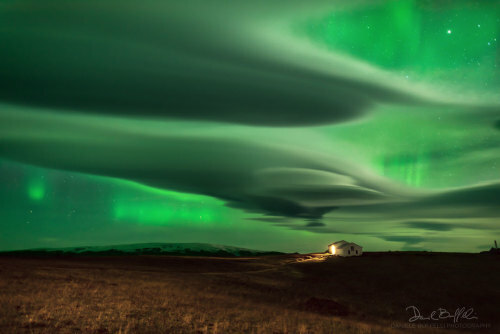 Where do you think @kosasaki was when he took this photo? Follow @nytimestravel to make a guess about another photo from the same city. We'll share more later this week." By nytimes on Instagram. "The @nytimes dance photographer @andrea_mohin captured @saramearns as Dewdrop on Friday in @nycballet's "George Balanchine's The Nutcracker" at @lincolncenter. As the opening night performance re-established, The #Nutcracker doesn't get old, with more than enough theatrical detail to merit repeated viewings, and more than enough layers of embedded history and emotional depth to fascinate again and again. And for New Yorkers, it's entirely possible to experience The Nutcracker again and again. Visit the link in our profile for a lineup of 11 different performances in the New York region. Follow @andrea_mohin to see more images from the @nycballet premiere." By nytimes on Instagram. "This #CyberMonday is for all of Ü…our devoted fans! 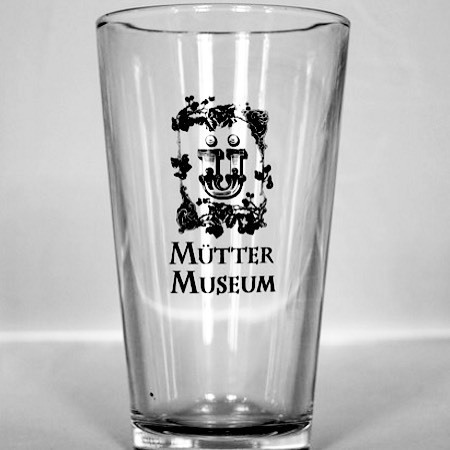 15% off our online gift store today, just use code CYBERMONDAY at www.muttermuseumstore.org! #cybermondaysale #philadelphia #shopping #holidays #gifts #medical #medicalhistory #umlaut" By muttermuseum on Instagram. 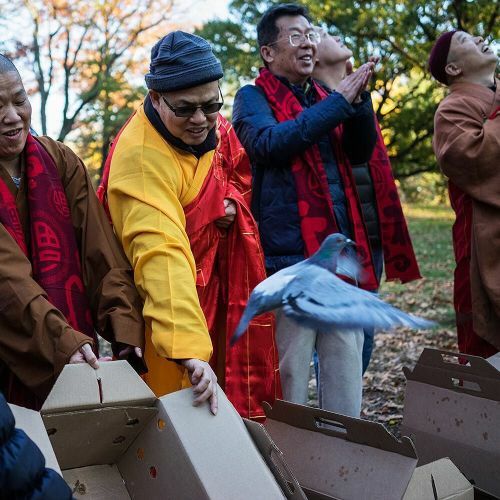 "With the help of #Buddhist priests, injured birds that had been rehabilitated by @wildbirdfund were freed in @centralparknyc. Rituals like this one, known as life-release ceremonies, are believed to generate positive #karma for the animals, as well as for the people releasing them. But environmental and animal-rights advocates have been concerned that many of the animals released in such ceremonies — often nonnative species — pose risks to local ecosystems and to the animals themselves. @heislerphoto captured the humane release last week. Follow him to see another image." By nytimes on Instagram. 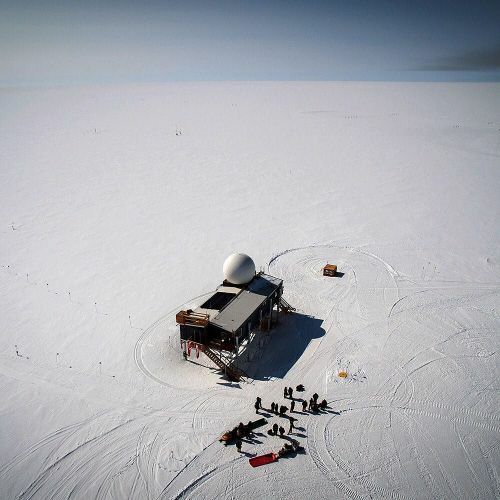 "Summit Station, located 10,530 feet above sea level on the #Greenland ice sheet, is more than 260 miles from land. In the winter, when the sun does not rise from mid-November until late January, temperatures can dip to minus 50 degrees Fahrenheit, and winds can exceed 60 miles per hour. This remote outpost is one of several Greenland sites where researchers from around the world gather data to improve climate models and help predict climate change that will affect future generations. Greenland's ice sheet holds one of the largest freshwater deposits on the planet, and scientists estimate that its full melting could raise sea levels by more than 20 feet. This #nytweekender, we have been sharing photos by the @nytimes photographer @joshhaner, who spent 7 days in #Greenland. #nytweekender" By nytimes on Instagram. "The Illulissat Icefjord in #Greenland shows the three-way intersection of the Greenland ice sheet, calving glaciers and rising sea levels. The grinding glacier generates sediment, which is then pushed out to sea with the meltwater, forming a contrasting plume in the fjord. The @nytimes photographer @joshhaner traveled to icy Greenland to document the scientists mining for data to understand how climate change will alter the rest of the globe. #nytweekender" By nytimes on Instagram. 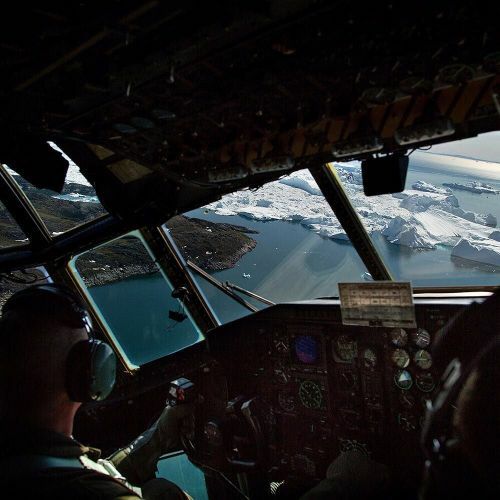 "The ice ruptures from the Jakobshavn Glacier, one of the most active in the world, as seen through the cockpit of a low-flying LC-130 leaving Summit Station. The remote outpost is one of several sites in #Greenland where researchers from around the world are gathering data that will improve climate models and help predict how climate change will affect future generations. The @nytimes photographer @joshhaner spent 3 days on the Greenland ice sheet, where the sun does not rise from mid-November until late January and where temperatures can dip to minus 50 degrees Fahrenheit. #nytweekender" By nytimes on Instagram. 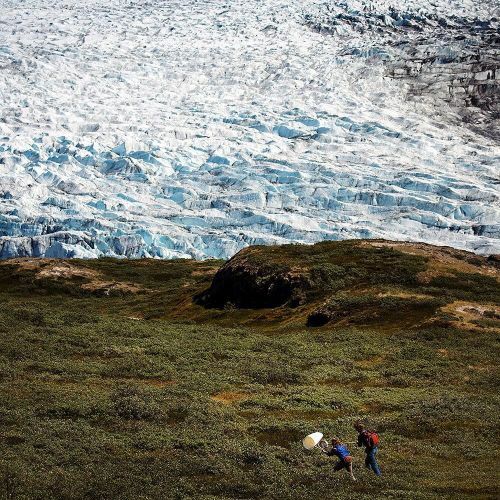 "Jessica Trout-Haney and Zachary Wood used nets to capture insects near the Russell Glacier in #Greenland. Their goal was to analyze biotoxins found in the insects, to learn how those toxins move through the food web. Scientific researchers believe that Greenland's warming could allow new forms of toxic cyanobacteria to thrive where they previously could not. The @nytimes photographer @joshhaner traveled to the Greenland ice sheet to document scientists mining the icy environment for data that will help us understand how climate change will alter the rest of the globe. #nytweekender" By nytimes on Instagram. 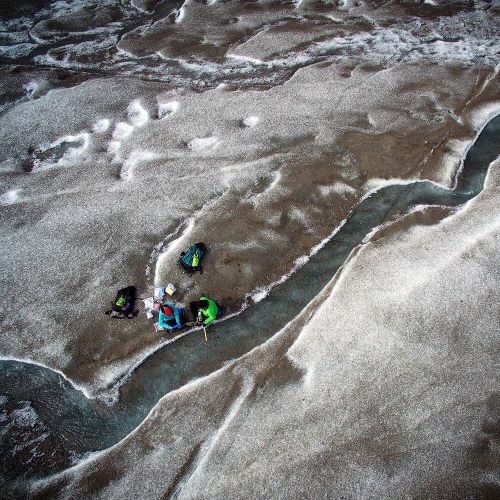 "To measure the amount of carbon dioxide in the water, Grace Andrews and Josh Unterman collected samples from a stream of meltwater flowing across the #Greenland ice sheet. Winding through rivers and fjords, the meltwater flows toward the ocean, where it eventually merges with towering icebergs. Grace wants to learn whether the carbon dioxide in the stream is derived from an ancient carbon source that has been sequestered and stored in the ice for thousands of years. 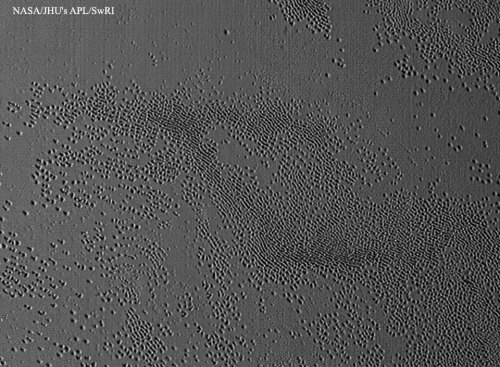 If so, this means that as the ice sheet melts, some of this ancient carbon is being released. At the moment, climate models do not account for that. This #nytweekender, we'll be sharing photos from #Greenland by @joshhaner, who traveled there to document scientists mining the icy environment for data to help better understand climate change." By nytimes on Instagram. 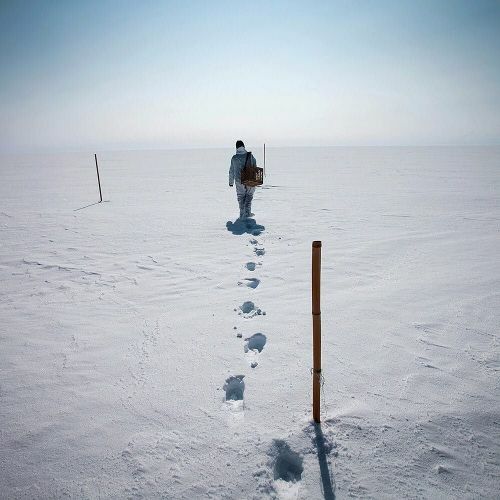 "Twice a week throughout the year, Hannah James walks almost half a mile in Greenland's punishing conditions to reach an area with pristine air. She stops to put on a so-called clean suit, designed to keep the environment as sterile as possible. 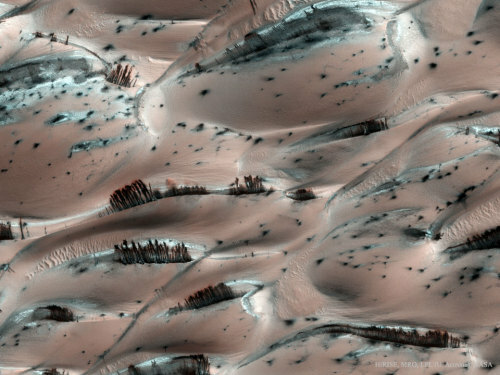 From there, she hikes another 300 feet to collect a snow sample. Hannah is a science technician for a logistics company called Polar Field Services. In Greenland, scientific researchers are mining the icy environment for data to understand how #climatechange will alter the rest of the globe. The @nytimes photographer @joshhaner spent 7 days 10,530 feet above sea level on the Greenland ice sheet. 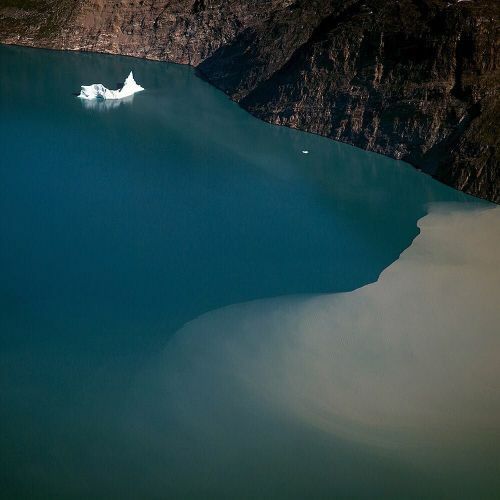 We'll be sharing more of @joshhaner's photos from #Greenland this #nytweekender." By nytimes on Instagram. 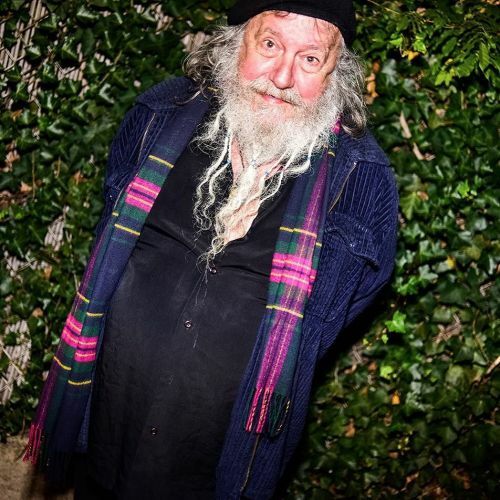 "After a lifetime of close calls and hard-to-believe flukes, Scott Fagan, 70, is getting his unlikely second chance at music stardom. 47 years ago, the singer-songwriter, then 23, released a quirky psychedelic album called "South Atlantic Blues" on Atco Records. It flopped. But this week, his album is coming back, thanks to a re-release by the history-minded label Saint Cecilia Knows Records. Decades have passed, but Scott believes the songs he wrote for that album still hold up today, because, he said: "I sang with conviction. And I still do." @dollyfaibyshev photographed Scott earlier this month." By nytimes on Instagram. 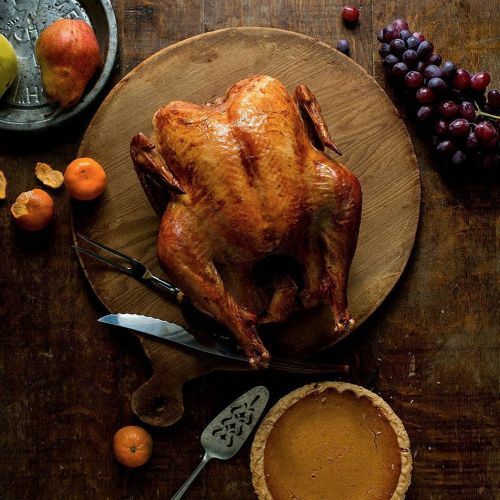 "Some cooks prefer the #Thanksgiving meal, while others can't wait for the after-party. Before you raid the fridge and commence a grazing free-for-all, consider cobbling together something more refined. Using common Thanksgiving leftovers, @nytfood columnist @david_tanis cooked up a tasty trio of recipes: a Thanksgiving take on biscuits and gravy, a layered savory pie and a shawarma-like pulled turkey sandwich. Visit the link in our profile to get the recipes. (But, if forkfuls of cold stuffing sound more your speed today, we understand.) Karsten Moran photographed this spread for @nytfood." By nytimes on Instagram. 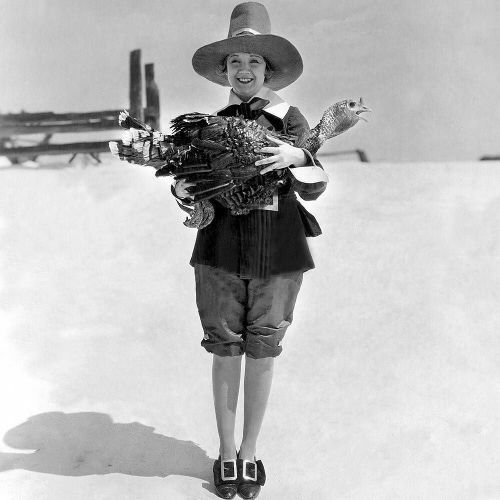 "The actress Helen Foster, a "featured player" at @universalpictures, posed in November 1927 with what most would agree is the chief ingredient of a seasonal holiday dinner. That month, @nytimes reported that a plentiful supply of turkeys from Texas and Oklahoma was available in New York, for just 45 to 52 cents per pound. And New Yorkers were gobbling them up, it seems. "Turkey will be king from Park Avenue to … St. Mark's Place," the @nytimes proclaimed in an article that month. #tbt photo from the @nytimes archives. #throwbackthanksgiving #🍗🍴" By nytimes on Instagram. 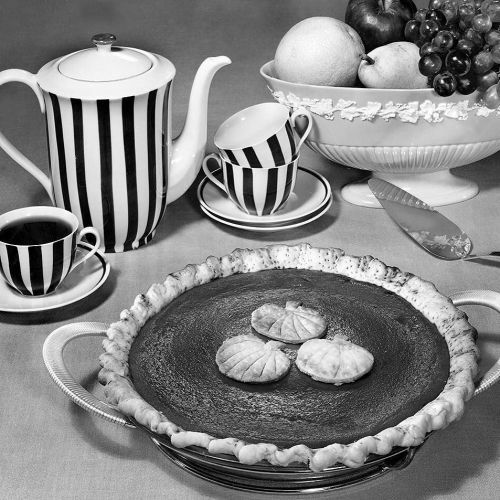 "A sour cream pumpkin pie photographed in the @nytimes studio in 1958. The @nytimes printed the recipe for the #pie alongside a wide-ranging look at the etymology of the word "pumpkin." To wit: " 'Pumpkin head' was … a slang term applied to early New Englanders because of their round haircuts. And the phrase, 'Some pumpkins,' is still used in reference to Very Important People, regardless of their haircuts, and very important matters in general." #veryimportant #themoreyouknow #throwbackthanksgiving #tbt #🍴" By nytimes on Instagram. 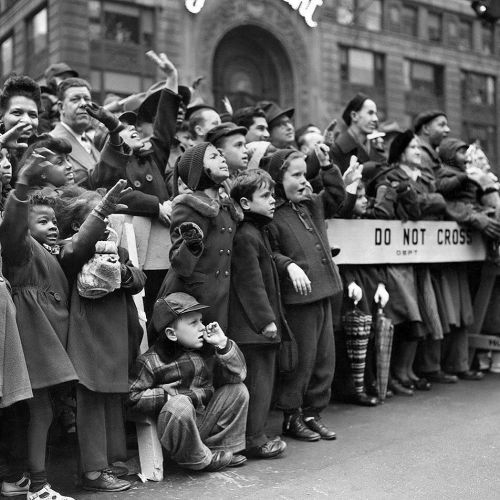 ""Youngsters" cheered as Santa Claus approached during the 1950 @macys Thanksgiving Day Parade in New York City. "War clouds in Korea and the immediate memory of a railroad disaster" made the city a little quieter than usual that year on #Thanksgiving. That said, "at such hotels as the Waldorf-Astoria bookings were exceptionally heavy with turkey dinners ranging from $6 up without wine," @nytimes reported. This #throwbackthanksgiving photo, by the staff photographer Ernie Sisto, comes from the @nytimes #archives. #tbt" By nytimes on Instagram. "Sandwiched between headlines that read "Copters Deliver Turkeys in Korea" and "Korea Peace Talks Brighten Holiday," a handful of photos in the Thanksgiving 1951 edition of @nytimes showed "the New York housewife out to do her Thanksgiving Day shopping." 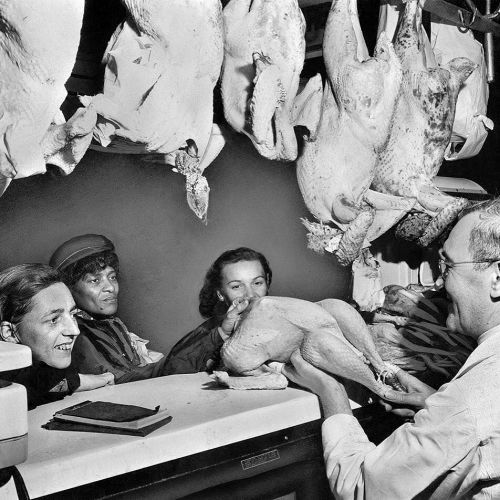 Here, Anton Reitmeier, a clerk at the Washington Beef Company's retail store, handed turkeys over the counter to waiting patrons. We found this #tbt photo by @nytimes staff photographer Carl Gossett in our newsroom archives. #throwbackthanksgiving #🍗🍴" By nytimes on Instagram. "Happy #Thanksgiving to all of our followers! Our museum is closed Thursday and will re-open Friday 10am. 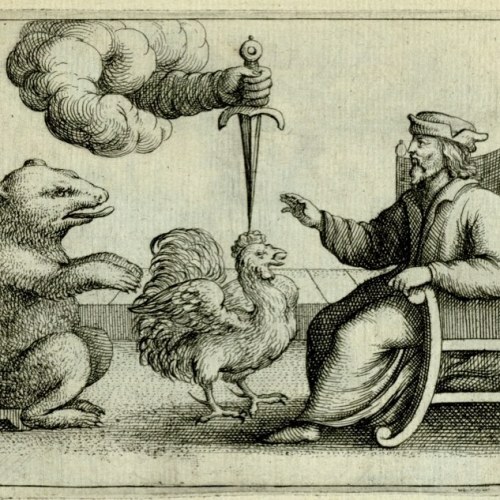 Image is Paracelsus' 24th prophecy. Artist unknown, between 1560-1580. 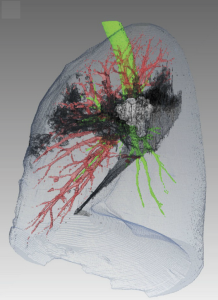 It can be found in our Historical Medical Library's digital library. #thanksgivingdinner #turkey #rooster #blackfriday #library #medicalhistory #medicallibrary" By muttermuseum on Instagram. "Admit it: Some of you secretly (or not so secretly) live for the kind of cranberry sauce that comes in a can. 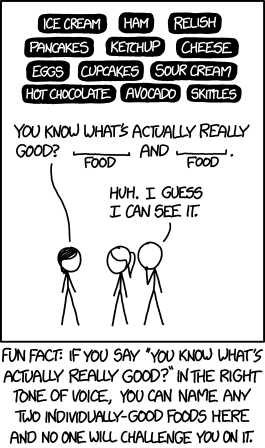 And that's okay! 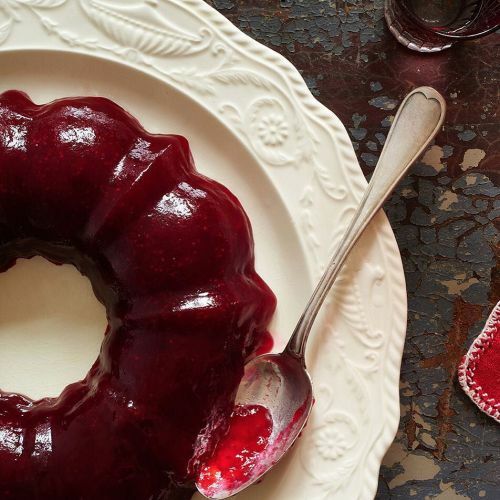 This year, though, skip the store-bought variety, and try @nytfood's cranberry-orange jelly. This red ruby mass with an unexpected dash of orange and spice looks great in a glass bowl, but @nytfood recommends making it in a mold — that way you can display it on a cake plate and serve it in slices. Visit the link in our profile to get the @nytfood recipe, which was photographed by @melinahammer." By nytimes on Instagram. 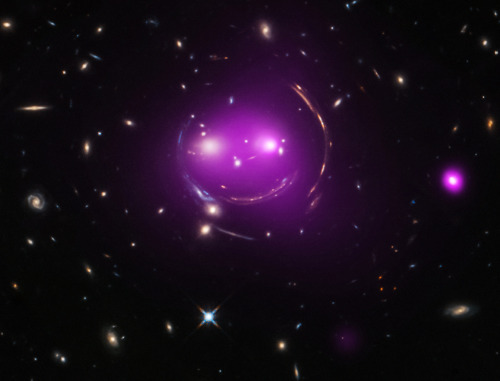 "100 years ago today, Albert Einstein set down the equation that rules the universe. 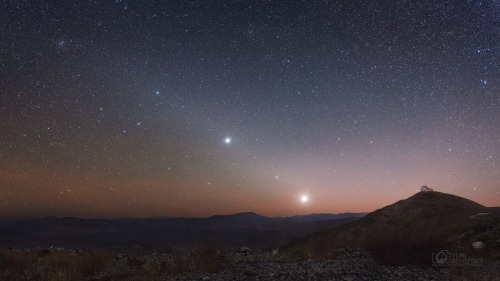 The theory of relativity describes how matter and energy distort the geometry of the cosmos to produce the effect we call gravity. 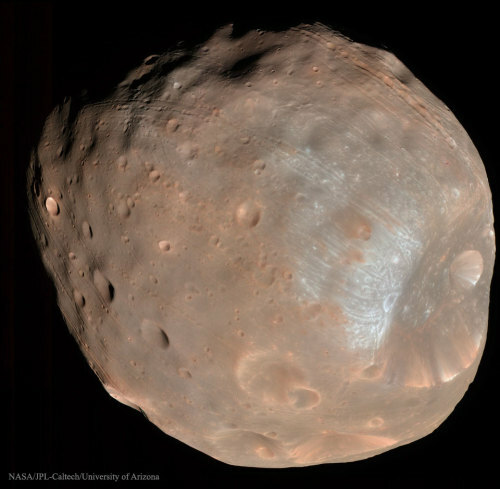 It's a standard trope in science writing to say that some theory or experiment transformed our understanding of space and time. General relativity did just that. 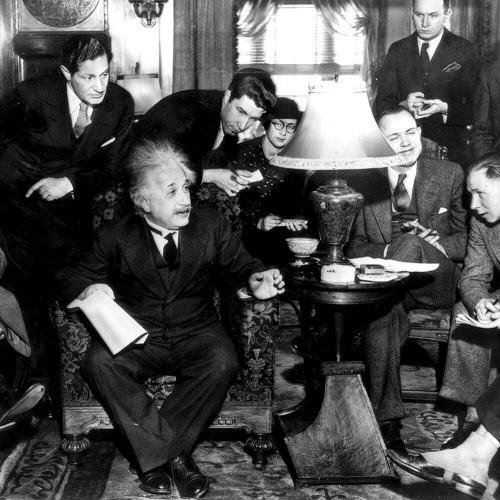 This photo of #AlbertEinstein explaining a theorem to reporters in Pittsburgh was first published in December 1934. Visit the link in our profile to purchase the image from the @nytimes archives." By nytimes on Instagram. 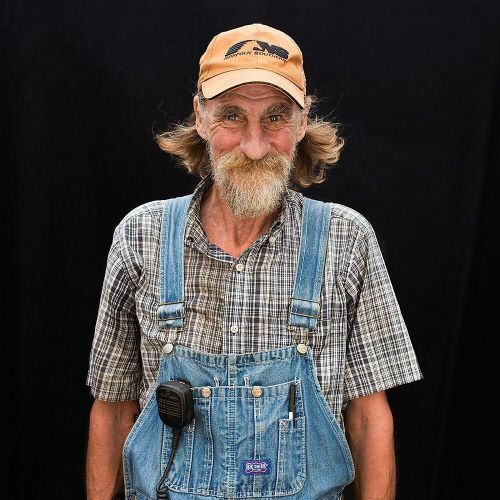 "Ten years ago, Blake and Stephanie Alexandre bought their kids 150 hens. The couple, who run a dairy business in Northern California, wanted to teach the children business principles and instill values like responsibility and care for nature. The pastured egg business, which on their farm means hens are allowed to spend much of the day in open pasture, has since become the mainstay of Alexandre Family EcoDairy Farms. 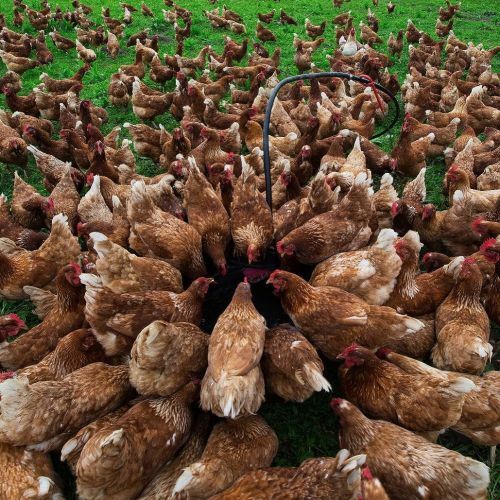 This year, their 9 chicken flocks, each typically about 3,500 birds, will produce roughly 5 million eggs, commanding prices that make organic milk look cheap. @fremson captured some of the #chickens drinking water while on #nytassignment. #🐣" By nytimes on Instagram. Faces in the sun-drenched rush hour. 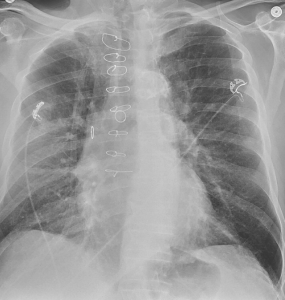 I'm just recovering from some brutal Pneumonia after last week's dive. 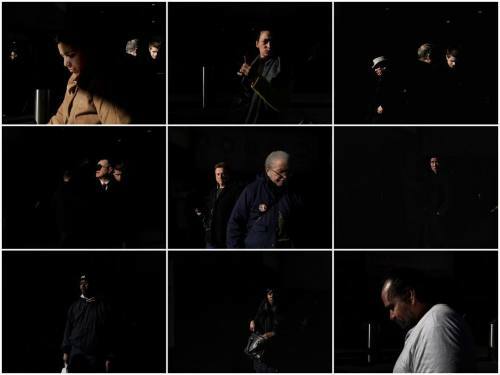 #photojournalism #documentary #reportage #streetphotography #lightandshadow #newyorkcity #faceinthecrowd" By benlowy on Instagram. 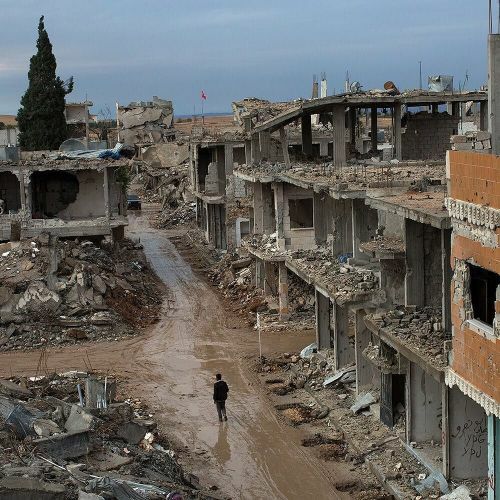 "Residents of Kobani, a border town in northern Syria, are struggling with loss, failed services and widespread destruction. It has been 10 months since the Kurds, backed by hundreds of American airstrikes, prevailed in repelling an invasion by the Islamic State. Now, #Kobani is trying to overcome the deep scars of the war and rebuild. And there are signs of life: Shops selling cellphones, cigarettes and grilled chicken have reopened, and thousands of displaced residents are returning each month. @nytimes staff photographer Tyler Hicks traveled to Kobani, which is known in Arabic as Ain al-Arab, while on #nytassignment." By nytimes on Instagram. "One truth about #Thanksgiving turkeys: More work does not necessarily yield a better bird. 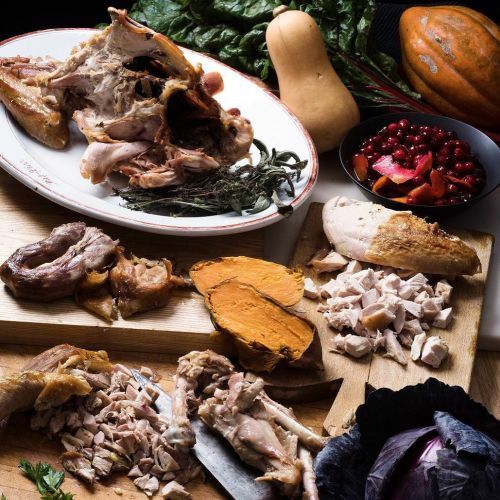 That's why @nytfood columnist @clarkbar skips the brining, stuffing, trussing and basting. Instead she uses a dry rub (well, technically a dry brine) — a salt and pepper massage that locks in moisture and seasons the flesh. With no stuffing or trussing, the bird cooks more quickly, with the white and dark meat finishing closer to the same time. @andrewscrivani photographed this simple roast #turkey for @nytfood. Visit the link in our profile to get the recipe. #🍗" By nytimes on Instagram. "Hong Kong, a city of 7.2 million people, is home to more skyscrapers than anywhere else on the planet. But the former British colony also has a wild side. Most of Hong Kong is not an urban jungle, but rather a real one, teeming with wildlife. 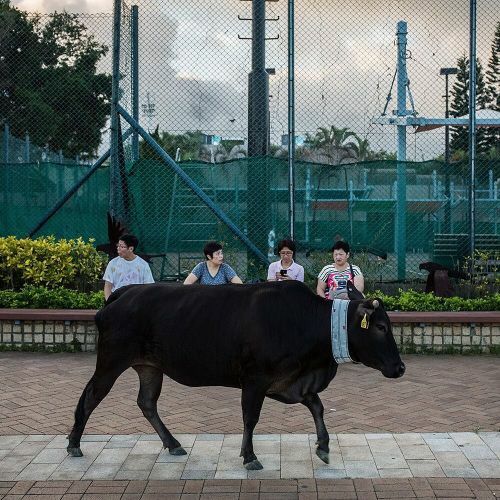 As many as 1,000-odd feral bovines — mostly cattle, but also water buffaloes — reside in #HongKong, which is roughly the size of Luxembourg. While some of the animals make their homes deep inside the country parks, others live near people, occasionally raiding gardens and blocking traffic. @lamyikfei had a brush with wildlife while on #nytassignment in Hong Kong. #🐮" By nytimes on Instagram. 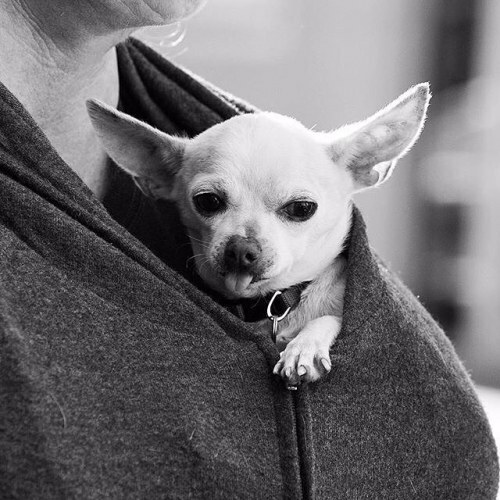 "Tucked cozily inside a sweatshirt, Dixie settled into her new surroundings in New York City. The @nytimes photographer @bengiville documented the arrival of 22 small-breed rescue puppies from Texas on Saturday in the Lower East Side. A Texas-based group called K-9 Mill Rescue worked with @waggytailrescue in New York to help place the dogs in foster care. The animals traveled for a full day by van to make it to the city. Follow @bengiville, a @nytimes staff photographer, to see more from her #urbananimal series. #regram" By nytimes on Instagram. ""#Mets in the #Bronx." The @nytimes columnist @104bx — who happens to be a @mets fan — found symbolism yesterday during a walk near the Jerome Park Reservoir in the Bronx. 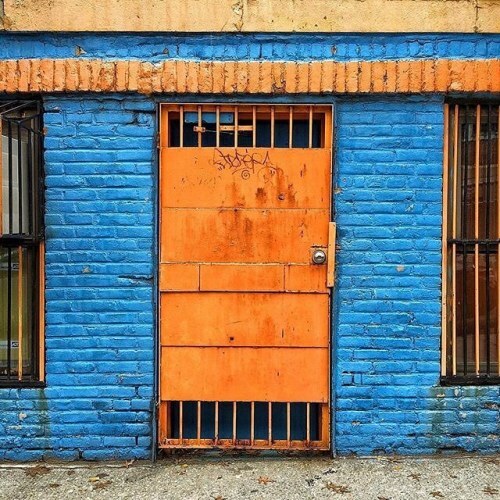 To see more photos from the borough, follow @104bx, an "unrepentant Bronxite." #regram" By nytimes on Instagram. "Volunteers helped refugees, primarily from Syria, Iraq and Afghanistan, disembark on the Greek island of Lesbos. "The Aegean Sea is particularly rough, with the first signs of winter storms beginning in late September when I made this photograph," wrote @ashgilbertson. "During their journey, many refugees were seasick, and some suffered from life-threatening dehydration and cold." 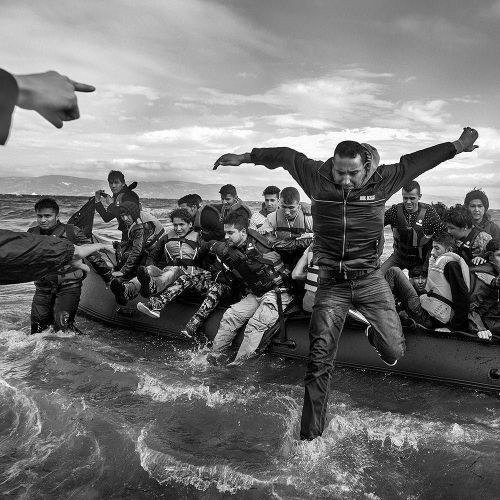 @ashgilbertson, a @viiphoto photographer, spent three weeks documenting the refugee crisis while on assignment for @unicef. His work was published in this weekend's @nytimes opinion section. To see the full essay, visit the link in our profile." By nytimes on Instagram. "The countdown is on. As all cooks know, #Thanksgiving is an adventure and a challenge: how to come up with fresh ideas that keep the dish on the right side of tradition? @nytfood looked to the work of Julia Child for inspiration. 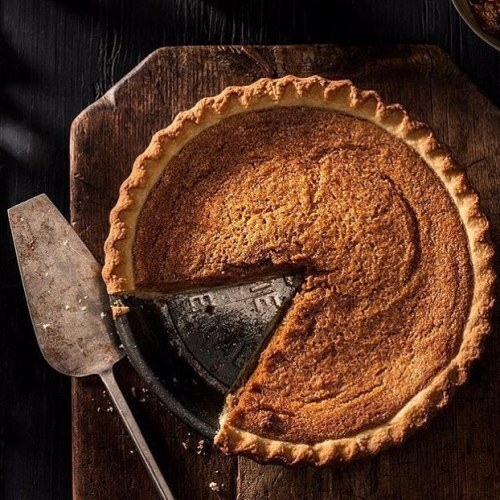 The recipe for Aunt Helen's Fluffy Pumpkin #Pie, pictured here, was published in Parade in November 1982, when Julia was writing a recipe column for the magazine. Her addition of molasses, extra spices and especially bourbon breathe new life into the filling. To find Aunt Helen's recipe, visit the link in our profile. Photo by @francescotonelli. #regram" By nytimes on Instagram. 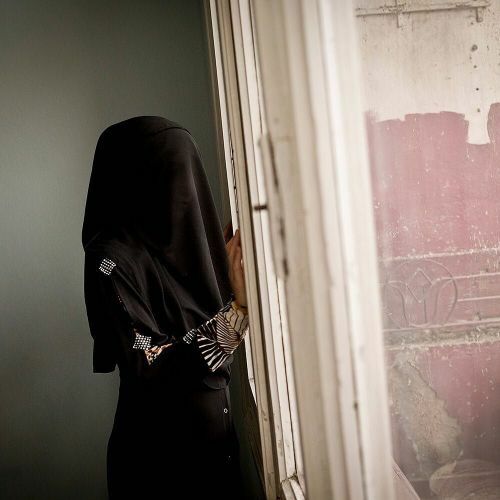 "Aws, 25, was a member of the Khansaa Brigade — the all-female morality police of the Islamic State — until she fled from her home in Raqqa, Syria. But her life was once much different. Aws, who we have identified by a nickname, grew up in a middle-class family and studied English literature in university. She devoured novels: some by Agatha Christie, and many by Dan Brown. Pictures of her old life in Raqqa show days on the lakeshore, her friends in bathing suits, dancing in the water. But at the start of 2014, everything changed. ISIS, known in #Raqqa as The Organization, wrested full control of her hometown. Today, after fleeing Raqqa and its jihadist rulers, Aws lives in a small city in southern Turkey, where @taratwphoto photographed her. Aws still struggles to explain how she changed from a modern young woman into a morality enforcer. Visit the link in our profile to read the full story." By nytimes on Instagram. 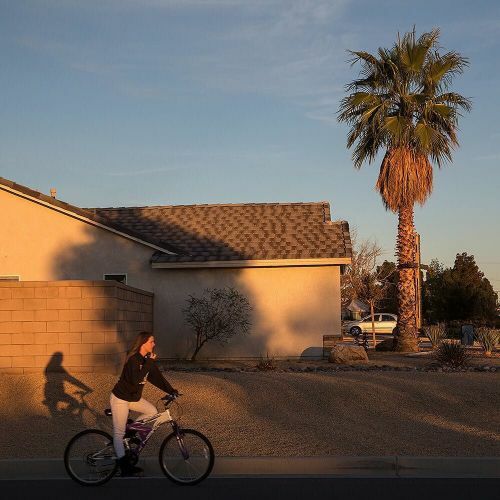 "The private utility company that supplies water to Apple Valley, a working-class town in the high desert east of Los Angeles, has been ordered to cut back 28 percent. In Los Angeles, meanwhile, the superrich have been able to keep multiple pools filled without fines for excessive water use. Four years into the worst #drought in California's recorded history, districts are grappling with a mandatory order from the state to reduce water consumption by up to 36 percent. The contrast between the strict enforcement in Apple Valley and the unchecked profligacy in places like Bel Air has unleashed anger and indignation. @malmeidapix photographed Apple Valley while on #nytassignment." By nytimes on Instagram. 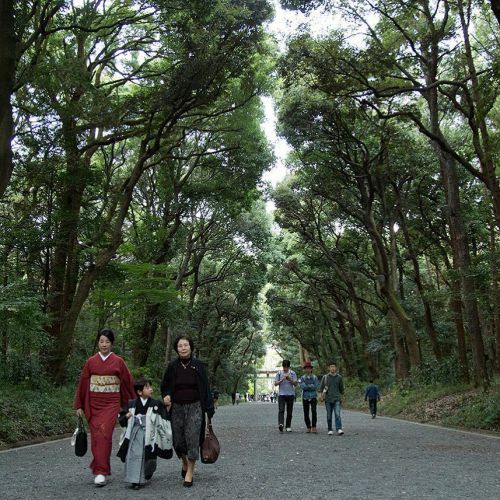 ""For us, normal life is traveling." Jose Aston Neves, left, is a trapeze flyer with @ringlingbros. 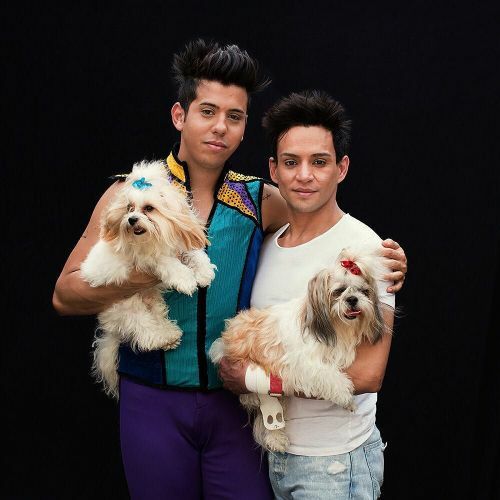 His fiancé, Andrei Ricardo Peixotode Oliveira Neves, right, is a dancer with the #circus. The men and women of the circus all say that only circus people like them can understand the lifestyle. While on a @NYTMag assignment, @stephsinclairpix spent 11 days familiarizing herself with life aboard a circus train. 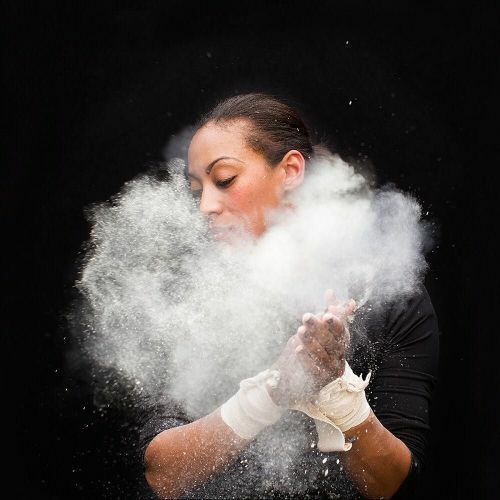 We have been sharing portraits of @ringlingbros #circus performers and staff this #nytweekender. Follow @stephsinclairpix to see more #portraits, and visit the link in our profile to read the @NYTMag story exploring the end of an era. #🎪🚂" By nytimes on Instagram. ""When I see families come out, and they have big smiles, and the kids are happy … it hits home. 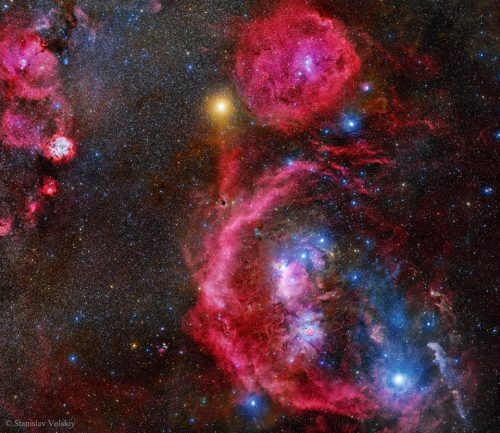 I've done my job good because I made sure we got here safely." Jerry Lee Bentley has been a train mechanic with @ringlingbros for 16 years. The photographer @stephsinclairpix photographed @ringlingbros #circus performers and staff while on assignment for @NYTMag. More than 300 people make up the unit she documented, but only about 100 of them are actual performers. The rest are support staff, ranging from trainers to carpenters. To see photos of life aboard the train, visit the link in our profile. Follow @stephsinclairpix to see additional #portraits. #nytweekender #🎪🚂" By nytimes on Instagram. "Tatiana Tchalabaeva, of the Thundering Cossack Warriors, is an acrobatic rider with @ringlingbros circus. The men and women of @ringlingbros all say that only #circus people like them can understand what it's like to spend 44 weeks a year traveling on a train that is a full mile long. ''The train is like a city on wheels," said @stephsinclairpix, who spent 11 days photographing @ringlingbros circus performers and their staff while on assignment for @NYTMag. To read the full story, which considers the end of an era for @ringlingbros, visit the link in our profile. Follow @stephsinclairpix to see more portraits. #nytweekender #🎪🚂" By nytimes on Instagram. ""Everybody loves the circus. It's a buffet of the extraordinary." 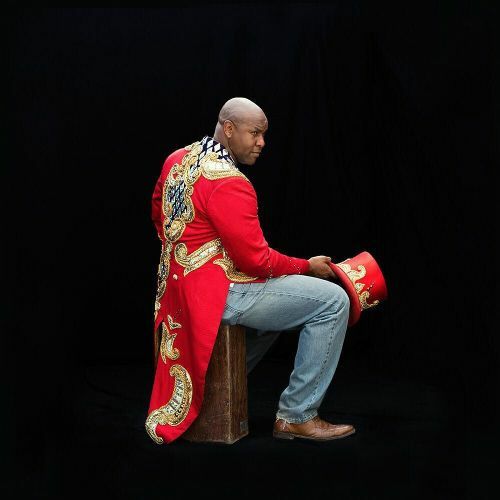 When Johnathan Lee Iverson was named #ringmaster at @ringlingbros in 1998, he was both the traveling circus's first African-American ringmaster and the youngest in its history. While on assignment for @NYTMag, the photographer @stephsinclairpix spent 11 days photographing @ringlingbros #circus performers and their staff. Each year, they spend 44 weeks aboard the circus train, traveling an average of 20,000 miles from coast to coast. Visit the link in our profile to read the @NYTMag story and follow @stephsinclairpix to see more #portraits. #nytweekender #🎪🚂" By nytimes on Instagram. ""The first time standing behind the curtains … I was like 'The stadium is full, thousands of people,' and I thought, 'Am I going to freak out?' "
Kristin Finley is a @ringlingbros trapeze flyer. While on assignment for @NYTMag, the photographer @stephsinclairpix made portraits of #circus performers and the staff that support them. The performers she met practice so often and so rigorously that when their train is in motion, they shut down: They sleep, they read, they watch TV. Visit the link in our profile to read the full @NYTMag story. @stephsinclairpix is posting more portraits this weekend. #nytweekender #🎪🚂" By nytimes on Instagram.